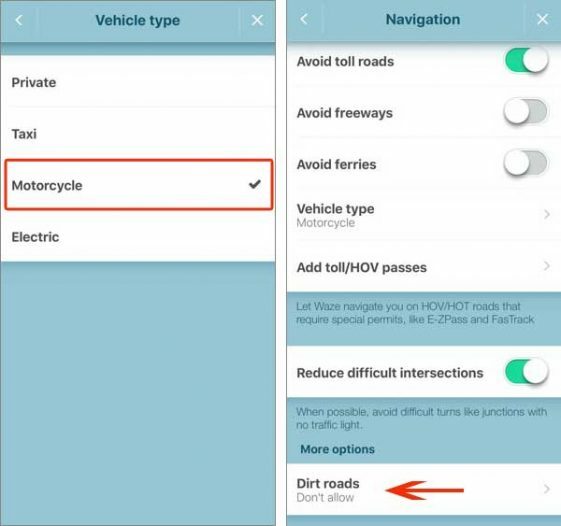  Waze is making navigation more accurate and convenient for motorcyclists! 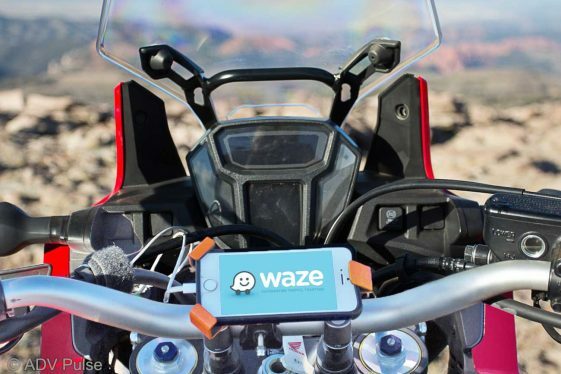 The world’s largest community-based navigation app Waze just became motorcycle friendly. The Google owned app recently released an update that includes motorcycle specific navigation, incorporating HOV lane travel and voice command features. Waze is a community-driven application with similar functionality to Google or Apple Maps, except with real-time user input. Obtaining information from users allows the app to develop realistic travel times, monitor traffic conditions, and most distinctly, notify other drivers of hazards. Helpful notifications include road closures, red light/speed cameras, stalled vehicles and police location. Waze now offers a new “motorcycle mode” with specialized routing for 2-wheels. The popular app also features an option to enable dirt road routing. Every motorcyclist has played the fabled ‘Arrival ETA’ game, the one where a navigation app or GPS unit gives a projected arrival time based on car travel and you proceed to see how much time you can shave off by riding your motorcycle. After taking the commute lane, dashing through traffic and splitting lanes (where available), you arrive at your destination well ahead of the expected drive time, brimming with satisfaction and affirmed with yet another reason why we ride. While it might be nice to beat projected arrival times, it doesn’t do much for planning purposes sometimes giving times that are off by a half hour or more. With the new data gathered by fellow Waze motorcycle users, this will be a thing of the past and projected ETA’s should no longer be wild guesses based on car travel. However, this update has a lot more to offer than just more accurate arrival times. The crowd-sourced nature of this app will allow riders to share the best routes based on their experience. “Motorcycle Mode” also adds routing info for narrow roads that aren’t accessible by car. Over time with more and more rider input, Waze will continue to develop better motorcycle routes and more accurate ride times, not to mention facilitating safer rides by making hazards known. Motorcyclists can now also enjoy the benefits of voice activated commands. The new voice command feature is particularly useful for motorcyclists, considering that typing in an address while driving and distracting yourself can be a death wish. Activating this feature with the simple “OK Waze” command will allow riders to perform functions such as: “drive home,” “drive to…,” “report a traffic jam” and “when will I get there?”. Existing features that motorcyclist can benefit from include the ability to add stops along their route (for fuel or other), navigate to parking near destinations, and in-app use of Spotify. Motorcyclists can also make use of community shared gas prices, roadside assistance, and map alterations. 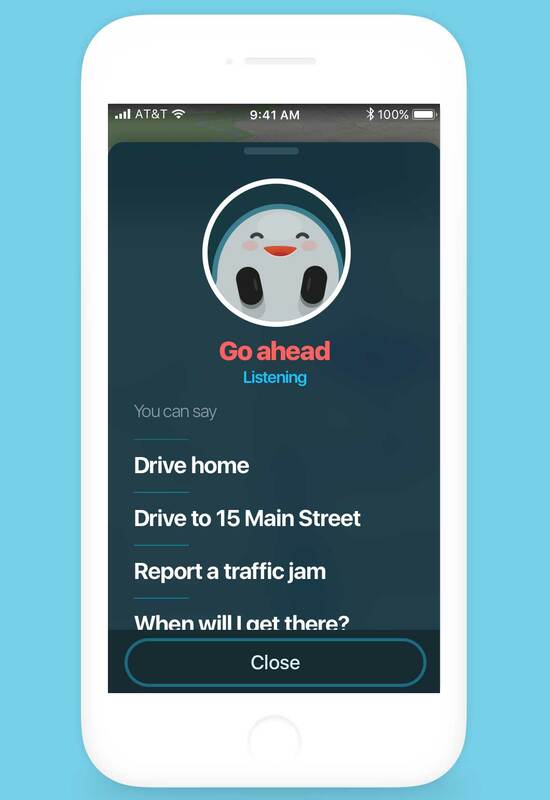 Waze will work anywhere cellphone data service is available, so whether traveling domestically or abroad, riders can save time and effort by letting the app navigate. While in an unfamiliar place this can be invaluable, allowing you to focus more on riding than logistics. This update is an exciting step for motorcyclists and the riding community opening the door for more navigation options and safer riding.